Clay has been an art form that man has used since the beginning of time. Every culture that has been discovered through archeology has historic record of uses for clay. From utilitarian to sculpture this ancient historical record has always intrigued me. Since my discovery of clay I have been learning and exploring the many different qualities of clay. 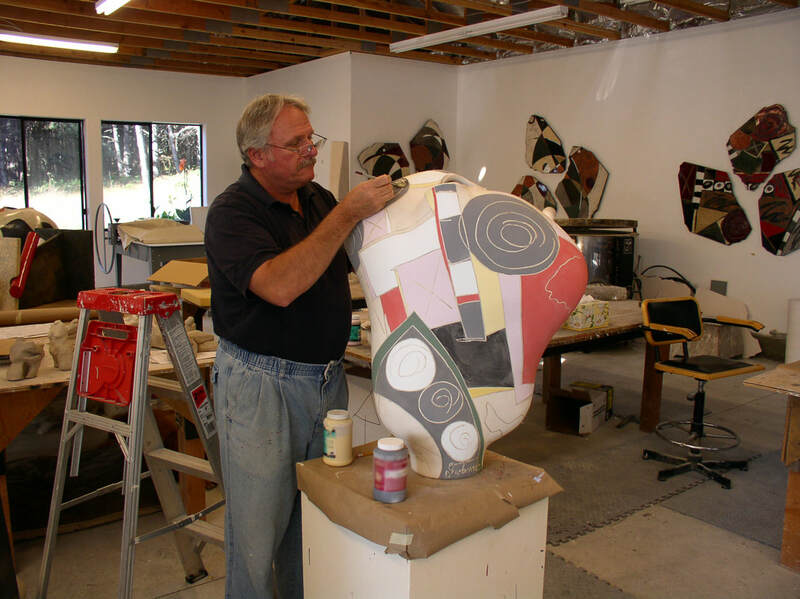 As you look at my works you will note I use many different techniques to manipulate clay to express my personal aesthetic views. Clay itself has a lot to do with my aesthetic viewpoint. The last 45 years I have used forms that I create, whether vessel or wall slabs, as a vehicle to express myself as a painter using glaze as my paint. My most recent works are a series of large hand built tectonic forms. With these forms I will continue to explore and express the language of clay. As is the case with most artists, the analyzing and verbalizing of their works is really not the statement, the statement truly is the work itself.